Super fine nib fineliner is ideal for use with stencils, lettering or work that require high detail and accuracy. 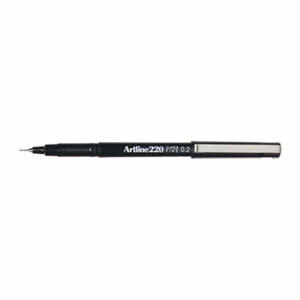 The Artline 220 fineliner is the perfect tool for designers, architects and students. Water based ink dries instantly and does not blur.